We design and manufacture modular, efficient and effective fire suppression systems with an innovative compound at the core of our technology. FirePro systems use the latest generation of our patented FPC solid compound that is the pinnacle of many years of research and development. When activated the FPC solid compound is transformed into a rapidly expanding extremely effective and efficient fire extinguishing condensed aerosol. The aerosol is propagated and evenly distributed in the enclosure under protection using the momentum generated during the transformation process. Unlike gaseous agents, the total flooding effect is achieved without increasing the pressure in the protected area/volume. Fire extinguishing is accomplished by the interruption of the chemical chain reactions occurring in the flame and not by the depletion of oxygen and/or cooling as suggested by the traditional triangle of fire. FirePro technology extinguishes fire by inhibiting the chemical chain reactions in the flame on a molecular level, without depleting oxygen! Cooling: By absorbing heat from the fire and lowering its temperature. Starvation: By reducing or cutting-off the fuel supply. Smothering: By removing oxygen or reducing it below a certain level. In a typical fire, there is intensive inter-reaction between atoms and fragments of unstable free radicals in the presence of oxygen. This continues until the burning fuel is depleted. FirePro extinguishes fire predominantly by inhibiting on a molecular level the chemical chain reactions present in combustion. On activation of the FirePro unit, the FPC compound within is transformed into a rapidly expanding fire extinguishing condensed aerosol consisting mainly of Potassium salt-based K2CO3, H2O (vapor), N2 and CO2. The gas-type, 3-D, properties of the condensed aerosol facilitate its even and fast distribution in the protected volume as well as its flow into the natural convection currents of combustion. The solid particles of Potassium salts, which are of a few microns in size, are suspended in an inert gas that displays an extremely high surface to reaction mass ratio - a fact that increases efficiency - which results in less quantities of fire extinguishing agent required. When the condensed aerosol reaches and reacts with the flame, Potassium radicals (K*) are formed mainly from the disassociation of K2CO3. The K*s bind to other flame free radicals (hydroxyls - OH-) forming stable products such as KOH. This action extinguishes fire without depleting the ambient oxygen content. KOH reacts further in the presence of CO2 and forms K2CO3. The solid particles of Potassium Carbonate (K2CO3) have a diameter of less than five microns and remain in suspension in the protected room/enclosure for at least 30 minutes, preventing further re-ignition of the fire. 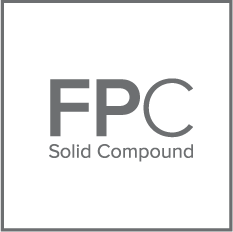 The FPC solid compound, developed after many years of Research & Development, utilizes environmentally friendly, naturally occurring Potassium salts with no pyrotechnic materials involved. Our dedication to sustainability is attested by the number and quality of EU and International Certificates, Listings and Approvals attained. The FirePro fire extinguishing condensed aerosol technology is suitable for Fire Classes A, B, C & F (according to EN2 Classification) and A, B & C (according to NFPA10 Classification).